Knitting with all my heart. I know it was a while ago now, but did you survive valentines day? If your single its horrid seeing the cards, flowers and proposals plastered all over facebook. Even as a married woman I'm sick of seeing pictures of loved up couples. I believe a relationship should be a private thing. Anyway enough ranting, lets get on with the knitting. 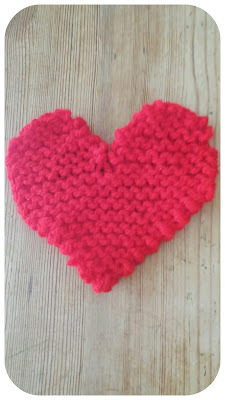 These hearts are knitted from the top to the bottom. 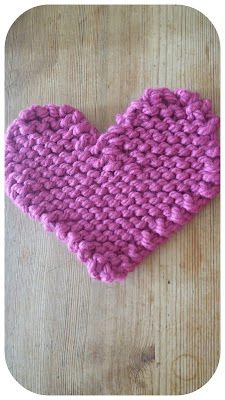 A very simple pattern using knit stitch and increasing and decreasing. If you'd like the pattern you can message me. I've been very busy with wool lately so expect more wooly posts soon.